Length: No more than 300 words. Tone: While they may hold critique of some kind, views contained in blog posts will be expressed respectfully and positively. Alignment with Charter Vision: Blog posts will be in keeping with the Conversation’s Charter Vision. The Conversation maintains the right to reject blog posts that run counter to the Charter Vision. Posting instructions: To submit a guest blog, contact info@interfaithconversation.ca. The Canadian Interfaith Conversation expresses deep sympathy for all who lost family and friends in the shooting at the Tree of Life Congregation in Pittsburgh on October 27. We grieve with our Jewish brothers and sisters at the horror of this latest attack on their community. The Conversation's formal statement may be read here. Participants in the Conversation - CIJA and Manitoba Multifaith Council - are planning vigils in Toronto (October 29) and Winnipeg (October 30). Please check for news of vigils in your community or consider hosting a vigil of your own. 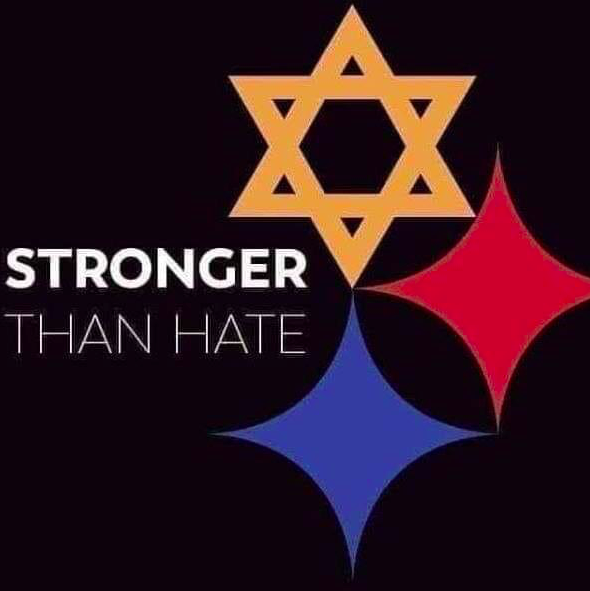 Yesterday, the Jewish community suffered an unimaginable tragedy in Pittsburgh. Our thoughts and prayers are with the victims, their families, the Tree of Life Congregation, as well as the law enforcement and community of Pittsburgh. 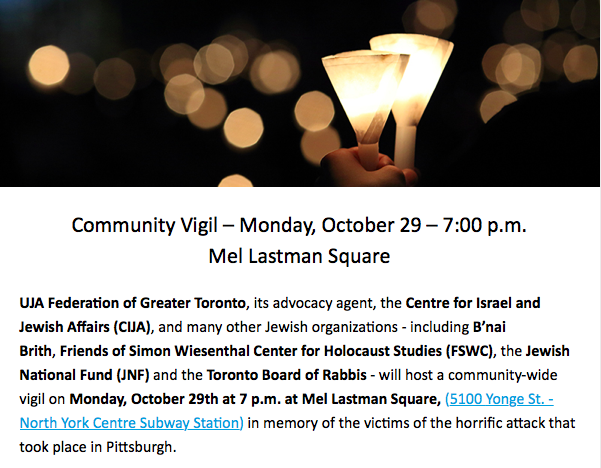 We invite everyone to stand together on Tuesday, October 30 at 7:00pm at Congregation Shaarey Zedek for a vigil to remember the victims of this horrific event.